Whether you’re a small or large enterprise, business accounting software is becoming more and more prevalent. Business owners are finally realising that struggling in doing their own accounts and coping with spreadsheets, paper receipts and inconsistent invoices or the option of hiring an expensive accountant, is not the optimal solution. 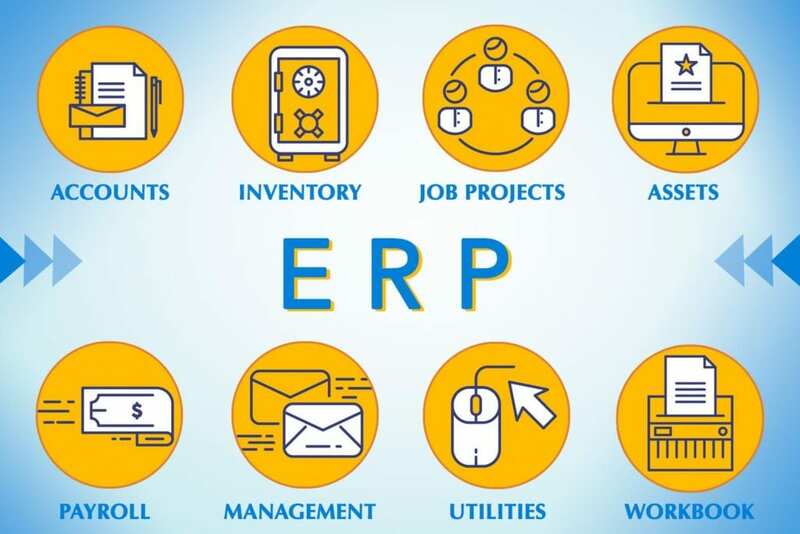 ERP accounting software records and processes accounting transactions utilising modules such as accounts payable, accounts receivable and payroll. There are many ERP modules in an ERP software application. Together these modules work as an accounting information system. Each ERP module is for different processes within an organisation. ERP Accounting software packages have a list of modules you can purchase and configure into your ERP application. SapphireOne is a platform independent all-in-one ERP, CRM, DMS and Business Accounting Software Application located within the one datafile. One of our strongest selling points is all 8 modules and any add-ons are offered at no additional charge to our clients. Being all-inclusive, you have the functionality of access being provided to every module via a single toolbar. Accounts– Accounts mode manages your day to day accounting operations via modules Receivables, Payables and General Ledger. Inventory– Inventory mode manages your inventory and stock from an initial requisition to final sale and all POS transactions. Modules included are Sales, Purchases, Inventory Manager and POS. Job Projects– Job Projects mode helps you maximise profit by tracking of revenue and costs which are related to a specific task or job. Modules included are Cost, Resources, Inventory and Job Projects. Asset Management– Asset Management mode manages your day to day operations to obtain a clear assessment of all aspects of your asset registry. Modules included are Inquiry, Transactions, Report and History. Payroll/HR– Payroll/HR mode helps setup pay periods, track history, administrate employee history, leave requests and onboard HR. Modules included are Payroll, Report, Administration and History. Management– Management mode provides unique analysis tools assisting you to obtain a quick snapshot or an in-depth review of your business performance. Modules included are Analysis, Management and Audits. Utilities– Utilities mode contains all your historical transactions and system defaults – the rules that control your data file. Modules included are History, Controls and Utilities. Workbook– Workbook mode combined with user access and user preferences, provides you with the ability to group functions of a user so they can be easily accessed. Contacts, Actions, Documents, Pictures, Tracking Notes, Mail Book, Phone Log, Visitor’s Book, Calendar, Document Manager and PDF Capture are located here.